Rent The Altman Building | Corporate Events | Wedding Locations, Event Spaces and Party Venues. 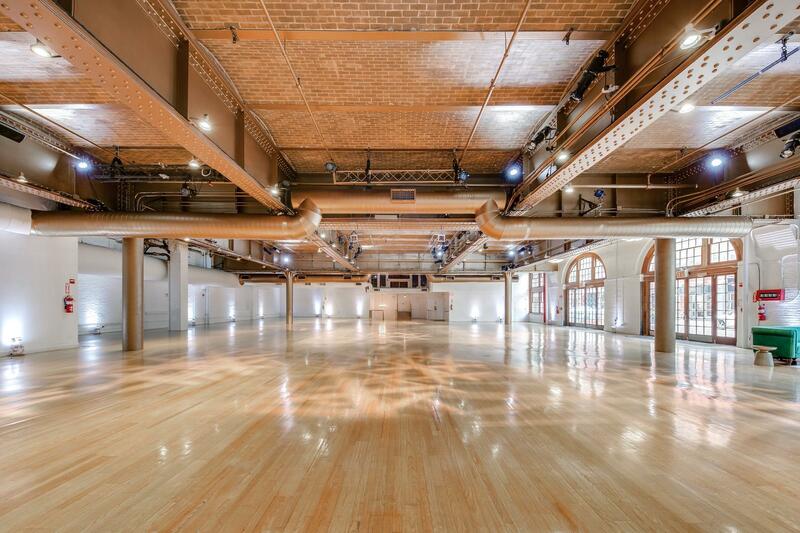 Once the carriage house for the B. Altman Department store, The Altman Building is now a private versatile event venue boasting 13,500 square feet over two floors. Our venue entrance is ground level and virtually column free, providing unparalleled flexibility in event production. The Altman Building is a historical landmark and a premier venue in the heart of Chelsea. Established in 1896 as the carriage house for the B. Altman Department store, The Altman Building is now a private versatile event venue boasting 13,500 square feet over two floors. Our venue entrance is ground level and virtually column free, providing unparalleled flexibility in event production. Our original, double hinged mahogany French doors, connect directly to the street to allow for easy ground-level load-in. Our doors open 12’ wide with an 8’ height clearance. Upon entering the space, clients are greeted with exposed vaulted brick ceilings, natural oak hardwood floors, and floor to ceiling bay windows that provide the space with a cascade of natural light. The main floor is roughly 10,000 square feet which include one expansive room, a storage area with bucket sinks for sanitation, and an entire in-house drape track system to make partitioning the room seamless. The main floor features state-of-the-art audio/visual capabilities including leko lights for spotlighting, gobos and template washes as well as moving lights, LED can lights and uplights. Our ceiling is affixed with over 120 rigging points with overhead trusses to support hanging audio, lighting, video components, and scenic installations of any kinds. Our gallery floor which is accessible by both elevator and stairs is 3,500 square feet and features in-house adjustable track and scanza lighting on dimmers, a prep kitchen with refrigeration, freezer and ice machine, a furnished VIP green room and private restrooms. Our venue has ample power available; the main floor is affixed with (61) 20 Amp outlets mounted along the perimeter walls and floor. The gallery floor is affixed with (44) 20 Amp outlets mounted along the perimeter walls. Beyond the Altman Building’s physical grandeur, we proudly provide a professional production team to help design and ensure the success of your event. Our event team considers no detail too small and offers exceptional services ranging from basic security to state-of-the-art audio, lighting, video, internet, and stage design. Our staff works with the building’s striking architectural details to impeccably transform The Altman Building into the ideal venue for your event.